Odds makers have released the latest futures for the NBA Championship. 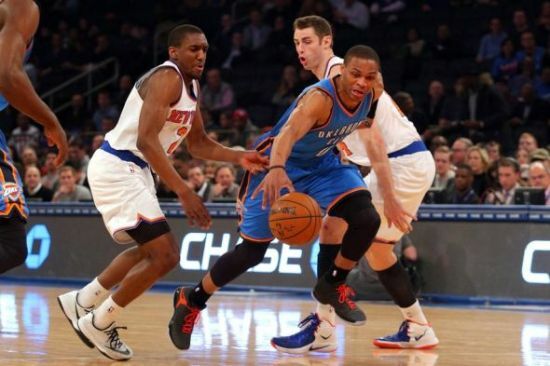 The Oklahoma City Thunder are playing so well the team has moved into third on the odds board, while teams such as the Miami Heat and Phoenix Suns are rapidly going in the other direction. Only a week ago, the Thunder was sitting in seventh place on the odds board, but has seen their odds shortened to 60 to 1, which is down from last week’s 12 to 1. The odds makers are showing a great deal of respect to the Thunder, despite the team holding down only the eighth and final postseason spot in the NBA Western Conference. However, the Thunder has won 7 straight games including wins over the Grizzlies, Mavericks and Clippers last week and picked up three players on the trade deadline to add to their roster. The futures odds shortened for the Thunder even despite the lingering concerns over the health of Kevin Durant who had what was described as a minor procedure to ease some discomfort on his right foot. The soreness has come from surgery Durant had on his foot in October. It is thought Durant will return prior to the end of the regular season. Amongst the teams in a free fall of sorts this week on the boards is the Heat. 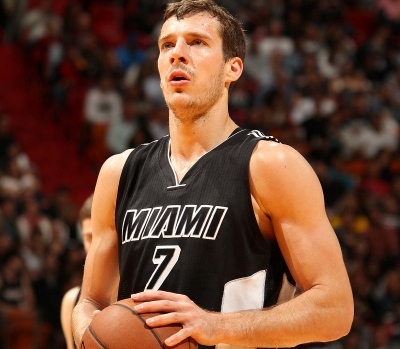 After receiving Goran Dragic in a trade last week, the starting five for Miami looked strong. However, the next day, Chris Bosh was lost for the season with blood clots. Without the best player on the Heat, their odds of winning the NBA title fell to 300 to 1 from last week’s 100 to 1. The Phoenix Suns have lost five straight games and 8 of their past 10 to fall out of the eighth spot in the West and into 10th. The Suns also dropped to 300 to 1 from 100 to 1 last week.